Beginning September 1st, 2018 allergy policy will be expended. Currently a frequency limit applies to CPT code 95165, allowing up to 150 units annually in the build-up phase and 90 units in the maintenance phase. Now the same frequency limits will be applied for CPT codes 95120 and 95125. Also, 75 units will be allowed annually in the build-up phase and 45 units in the maintenance phase for CPT code 95144. The frequency limits apply per code. Professional services for the supervision of preparation and provision of antigens for allergen immunotherapy, single or multiple antigens (CPT® code 95165) up to a maximum of 150 doses per year. The changes below will be effective since August 28th, 2018. 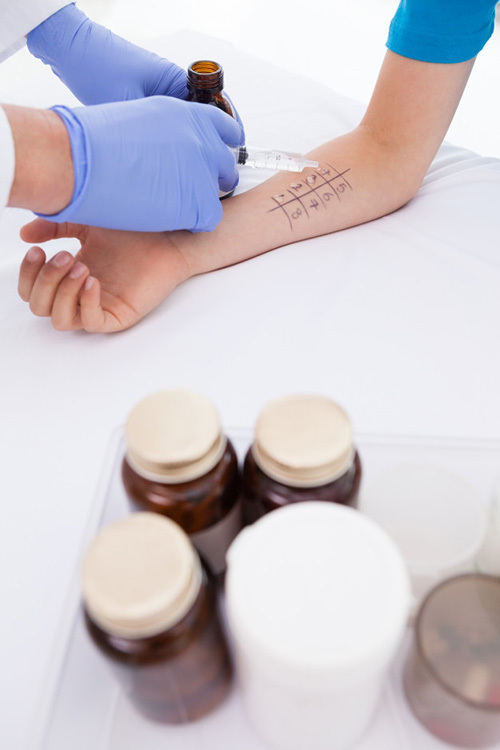 Allergy studies (CPT codes 95004, 95017, 95018, 95024, or 95027) – up to 137 tests within one year, which should cover all the percutaneous and intradermal tests for the patient's evaluation. Other regional CMS policies indicate that an evaluation may require up to 75 percutaneous tests for inhalant allergies, followed by up to 20 intracutaneous tests (performed when percutaneous tests are negative). Thirty tests may be needed for a combination of percutaneous and intracutaneous tests with venoms (CPT code 95017) and 12 tests may be needed for a combination of percutaneous and intracutaneous tests with drugs or biologicals (CPT code 95018). The reporting and supervision of preparation and provision of single or multiple antigen doses (CPT code 95165) to a patient maximum 120 units per year.